Made in the U.S.A. 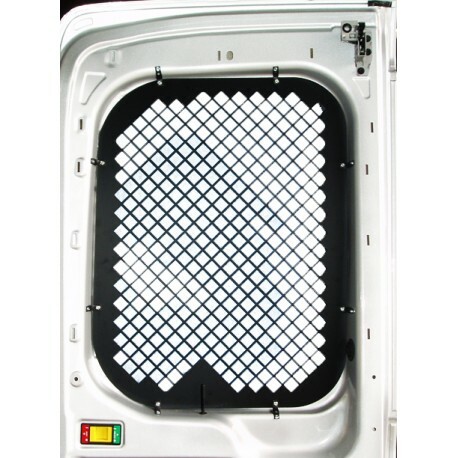 Fits 2013-2014 Ford full size Transit Van rear swinging cargo doors. Made in the U.S.A. 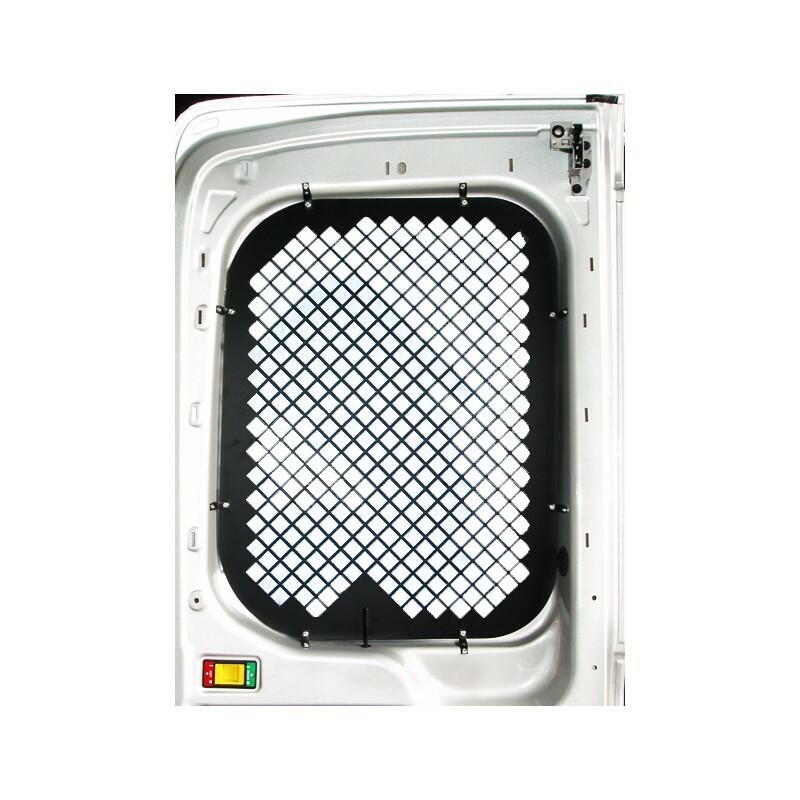 Fits 2013-2014 High roof Ford full size Transit Van rear swinging cargo doors. Prevent unauthorized entry and broken glass from shifting loads. Designed with lock plunger block out to hide door lock from unauthorized entry. Install in minutes with provided hardware. Each screen is made of heavy duty 16 gauge steel sheet and is custom fit to each van window shape. Screens simply attach to interior window frame using supplied hardware. Sold in pairs. Black powder coat finish for lasting protection.